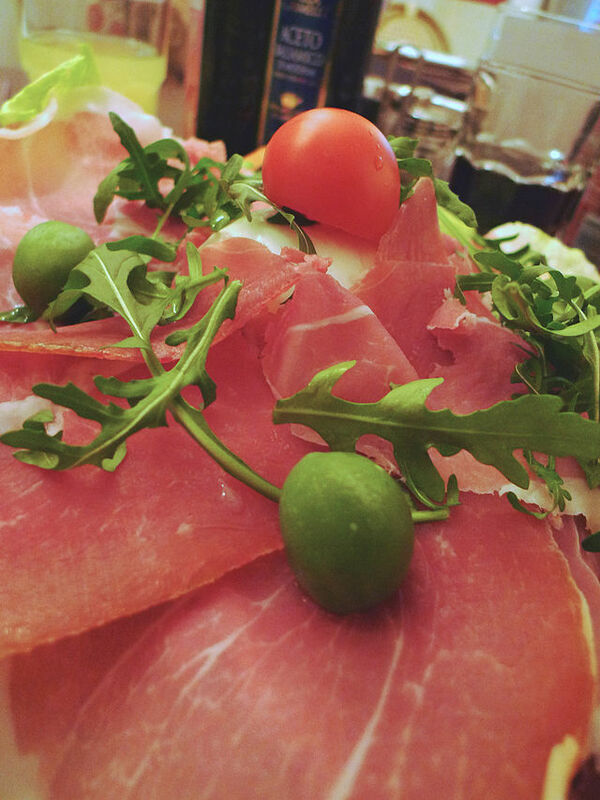 Let Them Eat Prosciutto | Eat.Drink.Life.Love. It is no secret that I dig prosciutto. Paper thin slices of salty ham, that luscious, melty little fat strip running down the side…it’s as superb rolled up around an asparagus spear as it is crisped up with roasted brussels sprouts. You know what’s even better than prosciutto? FREE prosciutto! The good people at Consorzio del Prosciutto di Parma have given me two pairs of tickets (that’s four tickets, people!) to this Thursday’s Cured and Crafted event at the Muse Event Center in the North Loop. I am on the board of directors of two local nonprofit organizations — Gifts for Seniors and Way to Grow. Help these organizations and you can win the tickets! * If you register to golf in the Gifts for Seniors tournament (August 28), a pair of the tickets are yours. * If you buy a ticket for the Way to Grow gala (October 24), a pair of the tickets are yours. Let me know in the comments below that you’ve liked one or both organizations on social media or if you want to participate! I’ll announce the winners of the two pairs of tickets to Cured and Crafted event on Wednesday evening at 9:00 pm. Followed and thumbed up both Gifts for Seniors and Way to Grow. Were you still looking for donations for silent auction-type action? It’s no longer on the post, unless I imagined I saw it earlier. Will provide contact if still needed. Prosciutto! Right on! Winner, winner, prosciutto dinner!! Shoot me an email with your full name and email address at: EatDrinkLifeLuv@gmail.com and I’ll make sure your name is on the list for two tickets at at the event tomorrow night! And if you’ve got a hook up for someone I can contact regarding silent auction donations for the two organizations, add their contact info in the email as well and you’ve got my eternal gratitude! Congratulations! !